Out of all the restaurants in a city, 10Best narrows the options to those places with the most appeal and the best reputations. 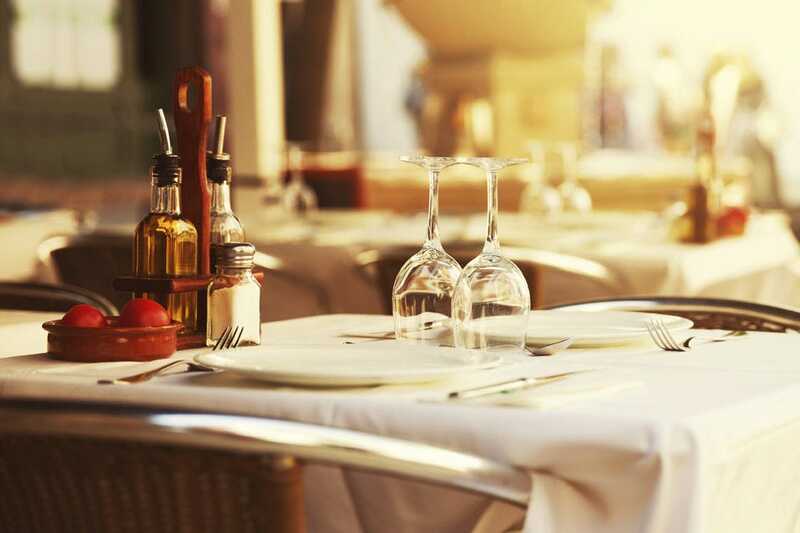 We offer carefully vetted selections to let you explore Myrtle Beach dining on your own. 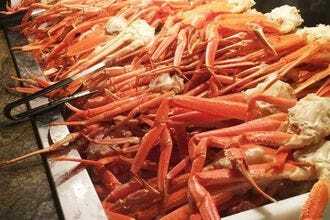 If time is really tight, though, and you don't have the leisure to look through all our offerings, we present our Myrtle Beach Best Restaurants list. Here, we distill the best businesses down to a special selection of ten. These places promise a stellar experience and a taste of the city that you just can't miss. 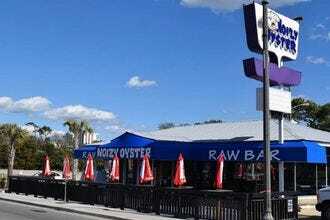 From Frank's Restaurant / Frank's Outback in Pawleys Island up to Sea Blue Restaurant in North Myrtle Beach and all points in between, hungry diners can't go wrong by visiting these cream-of-the-crop eateries. Whether it's seafood at the world-famous Sea Captain's House or aged prime beef at New York Prime, you and your taste buds will be happy at the end of each meal. 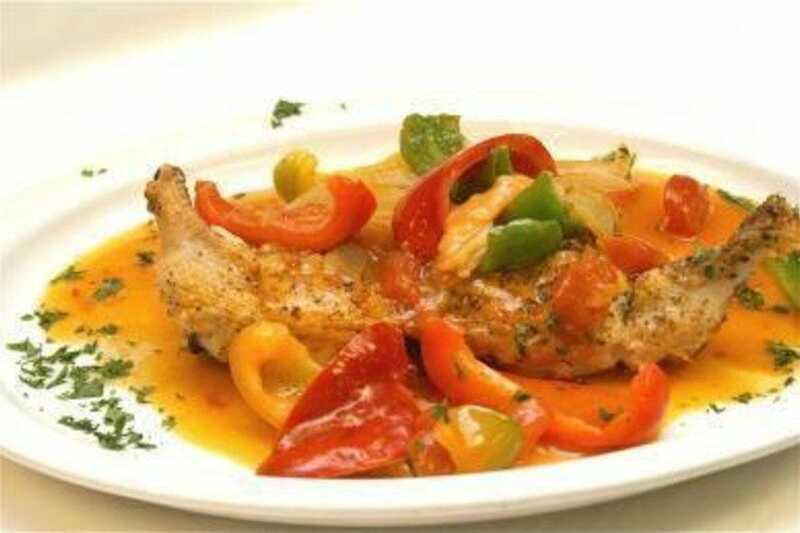 Of course, there's more than just food on the menu at some of our featured selections. Collector's Cafe serves as an art museum for local and regional artists who display and sell their wares on the coffee house walls. At Gulfstream Cafe in nearby Garden City Beach, the art work is left up to Mother Nature, who paints a brilliant sunset nightly that can be seen from the back porch that overlooks scenic salt marshes and fishing boats pulling into Murrells Inlet to unload their fresh catches of the day. 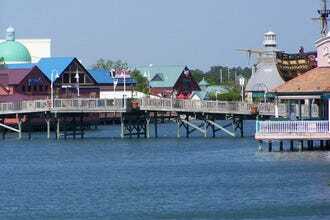 These are just a small sampling of the variety of dining options available in the Myrtle Beach area. Make a point to check out all the flavors of the Grand Strand. 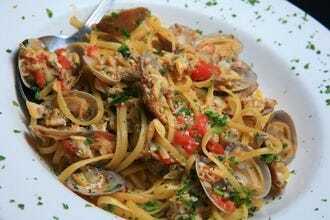 The best Italian food in town comes in an unlikely location - a strip mall just off the beaten path of Restaurant Row. But once you enter the door it's like entering your Italian grandmother's home, with great food and friendly service that keeps locals and vacationers coming back time and again. 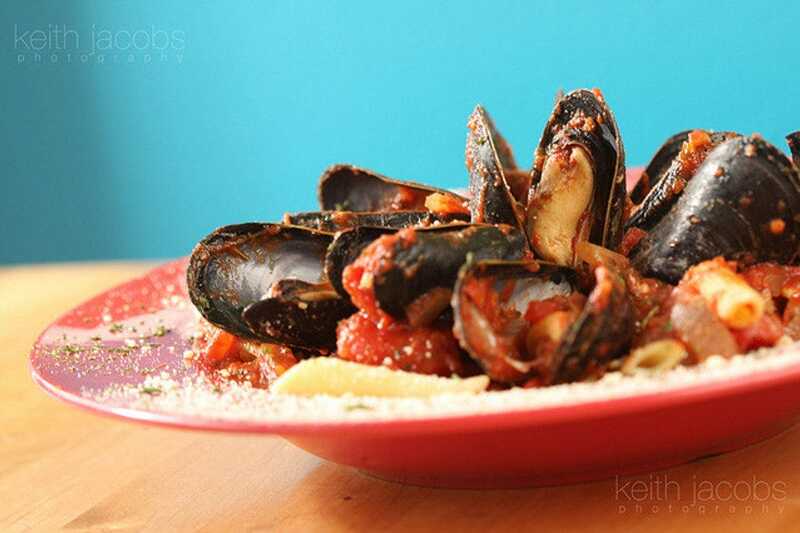 Offering all the traditional Italian favorites, such as lasagna, linguini and clam sauce and osso bucco, Rossi's also specializes in nice cuts of beef and other meats that are seasoned and grilled to perfection. 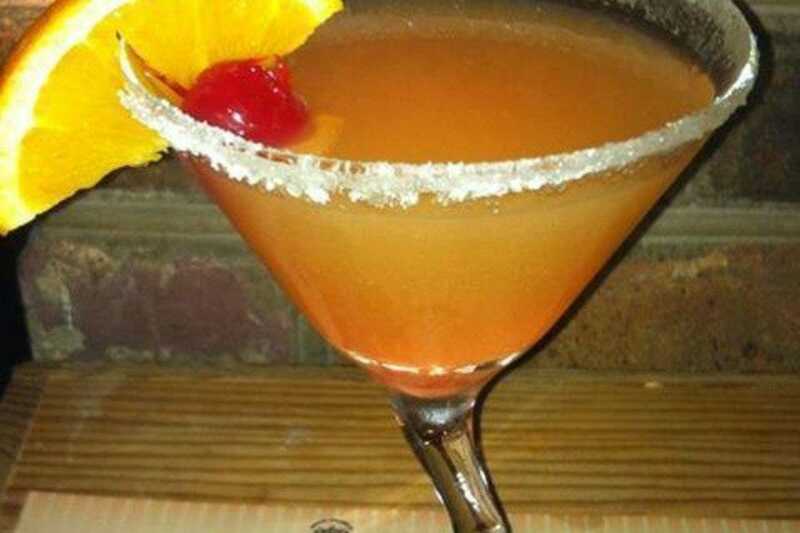 Rossi's also is a great place to make a full night out on the town by visiting the 88s Piano and Cigar Bar before or after dinner. 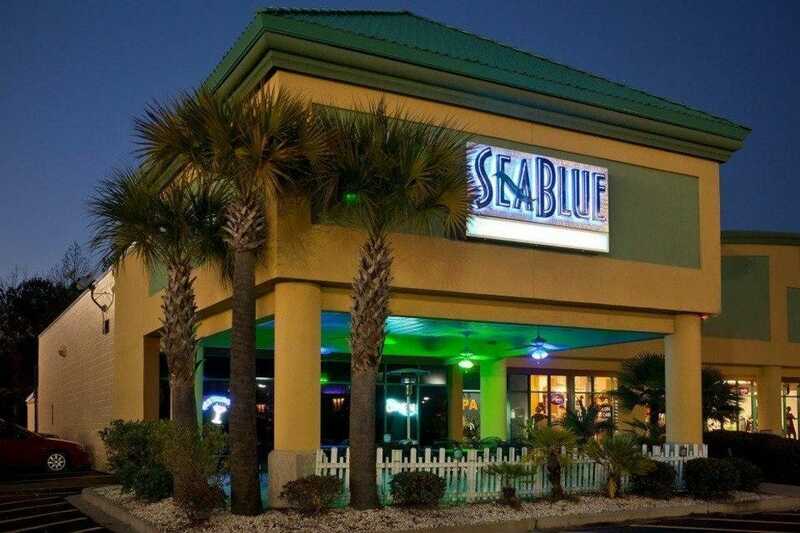 SeaBlue is not your typical Grand Strand restaurant. This modern eatery seems to have been plucked from the trendy section of a major city and placed in the middle of North Myrtle Beach. Unique blue and green lighting set the mood for a romantic meal, and the food does not disappoint. Sea Blue uses fresh seafood and meats mixed with the best possible ingredients to create a menu filled with masterpieces. Offering a tapas menu, SeaBlue is a great place for couples to share dishes and order several different meals to get the full experience. The bar also makes some special mixed drinks and coffees. This hidden gem has been drawing loyal, repeat customers since 1974. Offering traditional European and Continental cuisine, The Library has a classic atmosphere with a menu to match. Try the house-favorite Steak Diane, Strip Au Poivre or Sweetbreads, served by tuxedo-clad maitre d's providing excellent tableside service. With a menu that offers some old classics and some new, creative cuisine, everyone in your party will find something they love on this menu. Best of all, the service at the Library is second to none, giving customers the royal treatment with every visit. 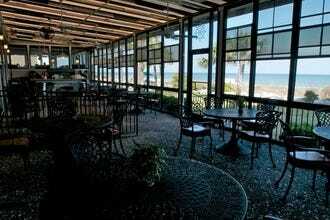 This former oceanfront guest house became a temporary restaurant during renovations back in 1962. More than a half-century later, the Sea Captain's House is still serving award-winning dishes and offering excellent views of the Atlantic Ocean. Southern hospitality and cooking collide with fresh seafood at this tradition-rich establishment. 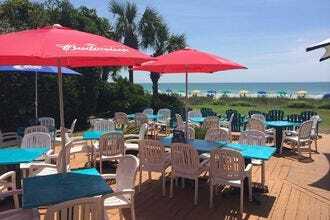 From their famous seafood platters to their traditional Southern favorites like shrimp and grits, the Sea Captain's House offers a wide variety of dishes and flavors, even for those who don't like seafood. But the best part of the Sea Captain's House is the real estate - location, location, location. Visitors can enjoy three meals a day and the best ocean view on the Strand. 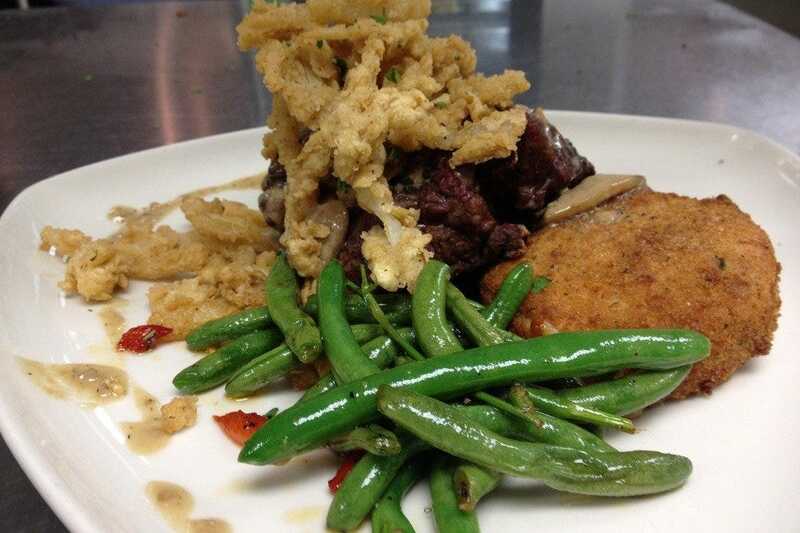 Part art museum and part restaurant, Collector's Cafe serves classic American cuisine worthy of a work of art. Fresh seafood and chops are the centerpieces on a diverse menu that includes lobster, yellow fin tuna, and filet medallions topped with lump crab meet and a creamy bernaise sauce. 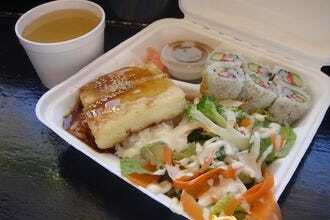 Creative dishes and daily specials allow patrons to try some artistic twists on traditional menus. Making use of fresh seafood and cuts of prime beef, Collector's makes it tough to choose just one dish from an extensive menu. 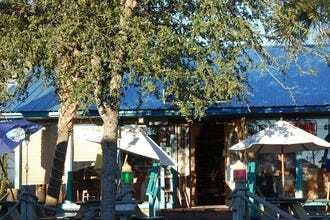 Doubling as an art gallery, Collector's also offers a romantic atmosphere for those looking for a nice night out. Experience South Carolina Lowcountry cuisine and Southern hospitality under one roof - and beyond. 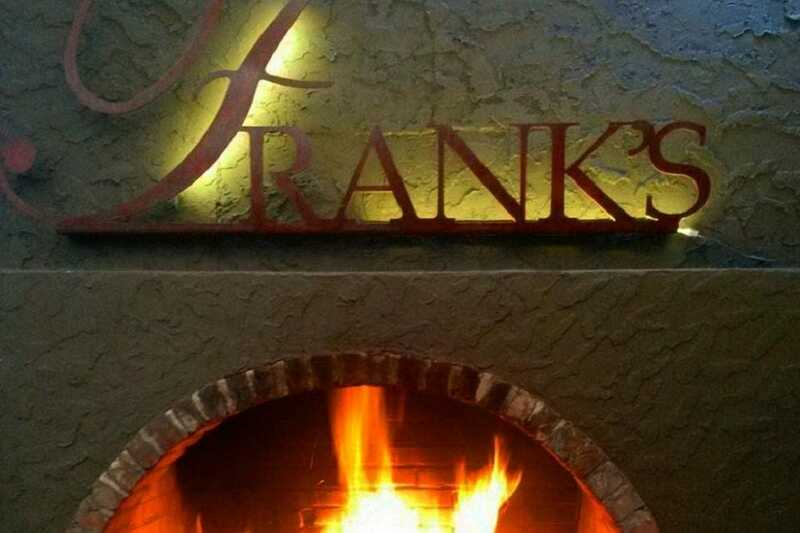 Located in the historic seaside village of Pawleys Island, Frank's has earned such a reputation for its steaks and chops, shrimp and grits and other signature dishes that it expanded to form Frank's Outback, featuring outdoor seating under the stars and twisting live oaks. The more casual Frank's Out Back features the same classic American dishes with an emphasis local seafood, plus unique items, like the tasty wood-fired pizzas. 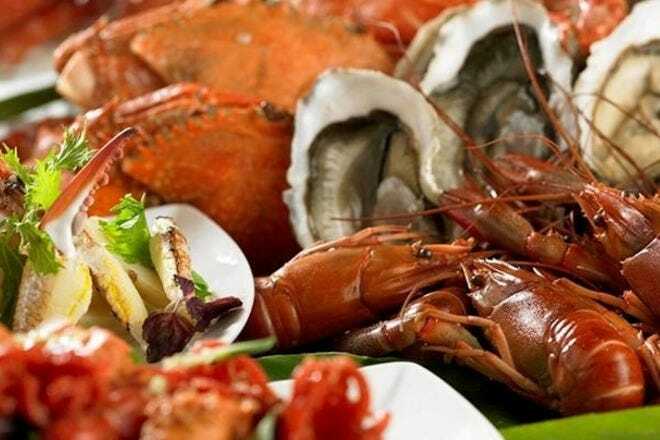 The daily specials are to die for, offering fresh catch seafood creations and prime cuts of beef. Enjoy the taste of an authentic, Lower Manhattan steakhouse in the heart of Myrtle Beach at New York Prime, which features first-class service and USDA-certified prime beef. Grilled Chilean sea bass is available for those with a taste for seafood, but beef is what New York Prime does best. Using only aged cuts, New York Prime prepares your steak to your specifications. Also famous for its a la cart menu, side items such as a giant baked potato or a plate of sauteed mushrooms and onions make for the perfect compliment to a great meal. 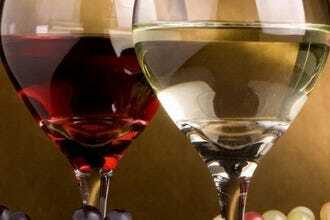 Be sure to check out the wine list.